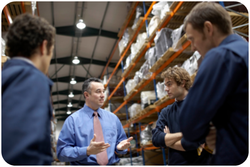 Parts Department Facility Organization Solutions - Dealer Solutions, Inc.
Dealer Solutions, Inc. is a wholesale provider of numerous facility organization products. These products and services have improved the overall efficiency of parts departments throughout the United States and have created a clean, consistent look throughout the facility. Order Warehouse Organization products by completing the form below. 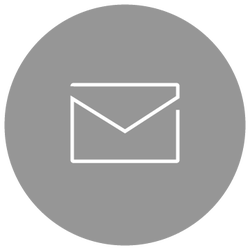 A member of our team will be in touch with you after the form is submitted to complete the order. Order by inventory value. Prices do not include sales tax. Magnetic Bin Label Holders FOR LABEL SIZE 3" x 7/8"
N/A 50 = $0.59/ea. 100 = $0.59/ea. 150 = $0.59/ea. 250 = $0.59/ea. 250 = $0.56/ea. 300 = $0.56/ea. 350 = $0.56/ea. 400 = $0.56/ea. 450 = $0.56/ea. 500 = $0.53/ea. 600 = $0.53/ea. 700 = $0.53/ea. 800 = $0.53/ea. 900 = $0.53/ea. 1000 = $0.53/ea. MAGNETIC BIN LABEL HOLDERS FOR LABEL SIZE 4" x 7/8"
N/A 50 = $0.75/ea. 100 = $0.75/ea. 150 = $0.75/ea. 200 = $0.75/ea. 250 = $0.72/ea. 300 = $0.72/ea. 350 = $0.72/ea. 400 = $0.72/ea. 450 = $0.72/ea. 500 = $0.68/ea. 600 = $0.68/ea. 700 = $0.68/ea. 800 = $0.68/ea. 900 = $0.68/ea. 1000 = $0.68/ea.